Arriving at Obesa Lodge is as if you are at the end of a rainbow. Each of Obesa’s accommodation units has been decorated according to various themes that have captured your hosts’ imagination and creativity. She clearly has lots of fun furnishing and painting units with names like Bad Mama, Spring Breeze, La Med, Sundowner, Scented Summer and Ingwe. It is this sense of enjoyment that Sonja hopes will spread to her guests. 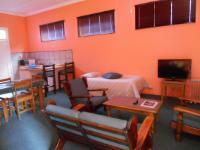 Obesa Lodge caters to all; whether a large group, couples, a family or single tourist. Travellers can choose between self-catering and bed and breakfast. Breakfast is available at R65.00 per person. This cheerful complex is surrounded by beautiful gardens, complete with free Wi-Fi, a swimming pool, braai areas and safe off-street parking with remote controlled gates, creating a space inviting guests to relax and unwind. We do not accept American Express cards - only Visa, Master and Diners. Alles was smaakvol het dit baie geniet. We enjoyed the clean, spacious and safe accommodation. 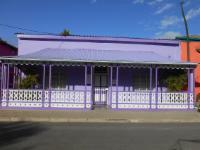 It is close to everything we wanted to see and do in and around Graaff Reinet. We loved to walk to the shops and museums as well as the quiet area. Warm and professional welcome and check-in. Rooms and grounds very well designed and laid out. 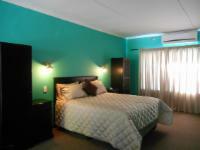 Comfortable rooms with everything one could need provided for s/catering. 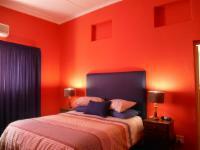 Have stayed several places in Graaff Reinet... this was one of the best. If the need arises to visit and stay in G/R, I will choose Obesa Lodge again. 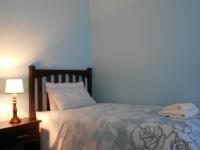 This was the second time I have stayed here, the room was clean, good mattress and linen. The microwave is a good idea as well. The hot shower was very welcome.Sonja is putting a lot of effort into the lodge and it is noticeable. 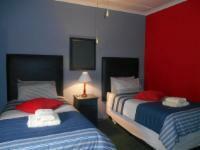 Obesa Lodge is 2.7km from the centre of Graaff-Reinet , the nearest airport 226.1km (Port Elizabeth Airport).